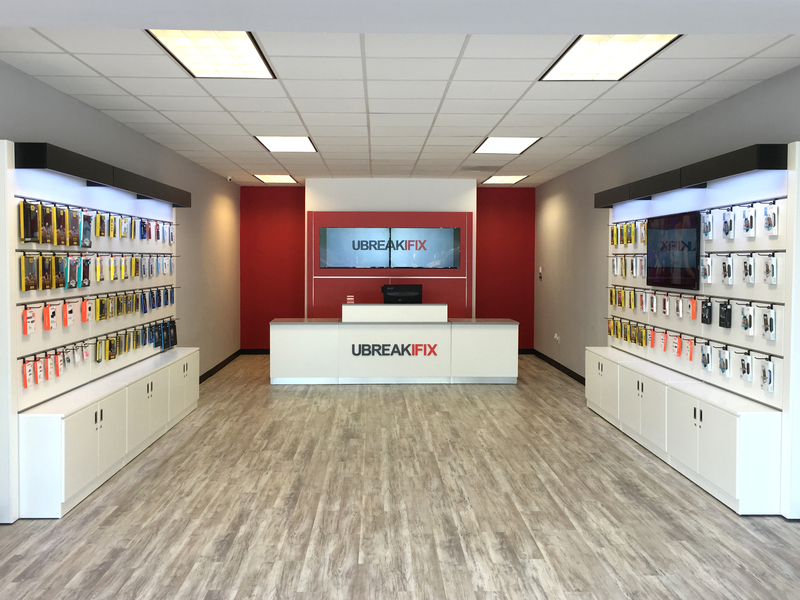 FAIRFAX, VA--(Marketwired - December 13, 2016) - uBreakiFix opens in Fair Lakes on Dec. 13 at 4471 Market Commons Dr. The growing technology repair brand specializes in same-day repair service of all electronics -- from phones, tablets and computers, to drones, hover boards and game consoles. Led by millennial entrepreneur Justin Wetherill, uBreakiFix services all brands of electronics, repairing cracked screens, water damage, software issues, camera issues and most other technical problems at its more than 260 stores across North America. uBreakiFix Fair Lakes is the first location for owner Brenda Johnston, who plans to open two more stores in the area in the coming year. "My goal is to bring quality repair service and an excellent customer experience to Fair Lakes and the surrounding communities," Johnston said. "Our team is comprised of motivated, highly trained technicians who truly care about everyone who walks through our door. We look forward to making our customers' days a little brighter with every repair." Johnston invites the community to celebrate the new store at its grand opening event on Dec. 18. The event will begin with a ribbon cutting ceremony at noon. Throughout the day, customers can take a tour of the store, enjoy refreshments and register to win tech prizes. Additionally, the store will offer 10 percent off any repair and 20 percent off accessories during the entire grand opening week, Dec. 18-24.
uBreakiFix was founded in 2009 by millennial duo Justin Wetherill and David Reiff, who later partnered with Eddie Trujillo to take their Internet-based brand brick and mortar. By reconciling quality tech repair with exceptional customer service, the brand has filled a niche in the marketplace and grown organically, without debt, investors or consultants. uBreakiFix Fair Lakes is the brand's seventh location in Virginia, joining stores in Fredericksburg, Dumfries, Falls Church, Manassas, Woodbridge and Virginia Beach. "Even as we grow, customer satisfaction remains our number one priority," said uBreakiFix CEO and founder Justin Wetherill. "We look forward to answering the Fair Lakes community's tech needs with the quality repair service and exceptional customer experience that consumers have come to expect." uBreakiFix opened 79 stores through the third quarter of 2016 and expects to have 275 stores across North America by the end of the year. The brand's ability to fix anything with a power button sets it apart from the competition. Each repair comes with a 90-day warranty. uBreakiFix Fair Lakes is located at 4471 Market Commons Dr., Fairfax, VA 22033 and can be reached at: 703-828-6442. For more information and to view a service menu, visit ubreakifix.com. ​uBreakiFix specializes in same-day repair service of small electronics, repairing cracked screens, water damage, software issues, camera issues and other technical problems at its more than 260 stores across North America.